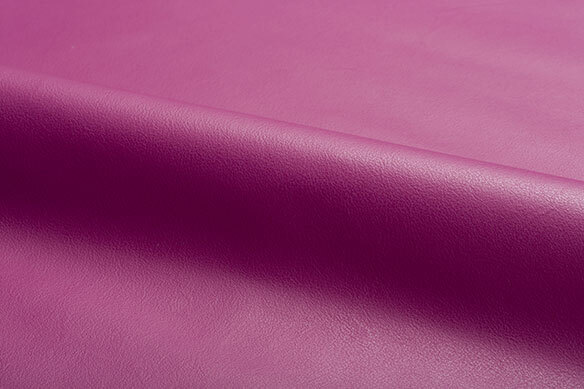 Spinneybeck leather begins as a by-product of the meat industry. Rather than being disposed of, hides are sold to tanneries to be converted into products such as shoes, belts, clothing, or in the case of Spinneybeck, the hides are tanned and dyed for use as upholstery material or to cover architectural products. Spinneybeck enjoys long-standing relationships with its tannery partners and the suppliers of hides and tanning products to the tannery. The chain of supply was established in the late 1960s and ensures consistency in raw material, in tanning products and processes, and in color consistency through use of high quality aniline dyes. All hides used in the production of Spinneybeck leather products are of European origin and are tanned, dyed, and finished in Italy. Spinneybeck does not source raw material from outside of Europe nor purchase leather products from tanneries located outside the principal area of Arzignano, Italy. A Certificate of Supply is required and kept on file by Spinneybeck for any of its business partners. Therefore, clients are assured of receiving European raw material which is tanned, dyed, and finished (if appropriate) in Italy. The Italian leather industry is highly regulated by the Italian government. 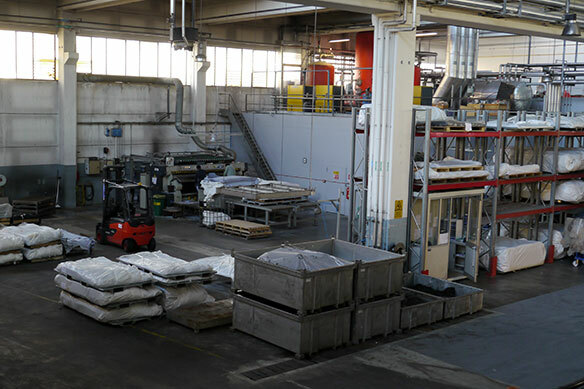 In addition to their stringent environmental requirements, the tannery must adhere to any local regulations. 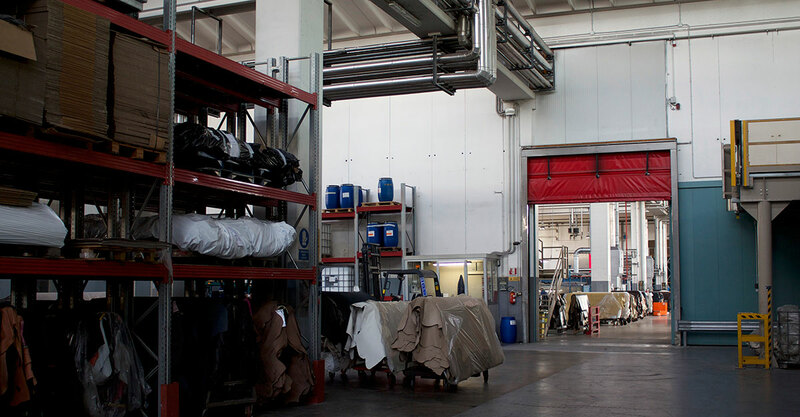 The tanning, dyeing, and finishing processes completed at our tannery in Italy meet or exceed the environmental requirements outlined by the Italian government. 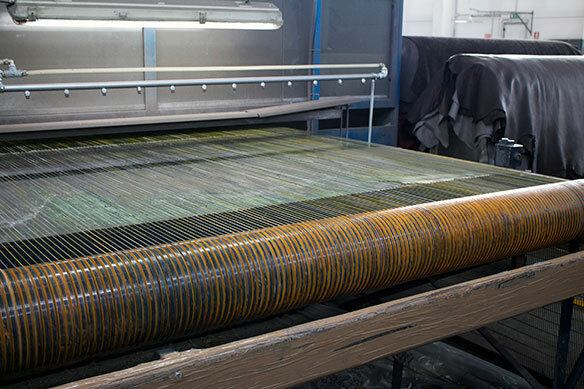 Water that is used during the tanning and dyeing processes is constantly collected, filtered, and purified. All salts used in the tanning process are removed from the water and the dyeing processes are designed so that all dyestuffs are completely absorbed into the hides. Water is returned to the main water supply to be reused. The chromium used in tanning is extracted and formed into nontoxic bricks for disposal in landfills. Its important to note that the Chromium 3 used in leather production is not the carcinogenic Chromium 6. Leather hides are constantly trimmed during production. During the tanning process, the neck and shoulders are cut away and processed for the shoe industry. Excess leather scraps are processed into a leather composite backing material which is used in the production of small leather goods, for example, stay material for handbags, luggage, and belts. Spinneybeck exclusively uses water-based adhesives which contain no volatile organic compounds (VOCs) for all architectural products. And only recommends water based adhesives for installation of our Floor and Wall Tiles and Belting Leather. Leather has a life cycle that is substantially longer than other upholstery material and is 100 percent biodegradable and 100 percent post-consumer recyclable. Leather scrap may be ground up and converted into bonded leather which is used for the backing on belts and stay material for many types of products. Scraps from the tannery and scraps from our own sampling department are sold and converted into this bonded leather material. Samples and older Color Books returned from clients are donated to design schools for their libraries and for design projects. In addition, samples are given to charitable organizations for use in small craft projects. Spinneybeck is incorporated in Ireland and therefore part of the European Union. 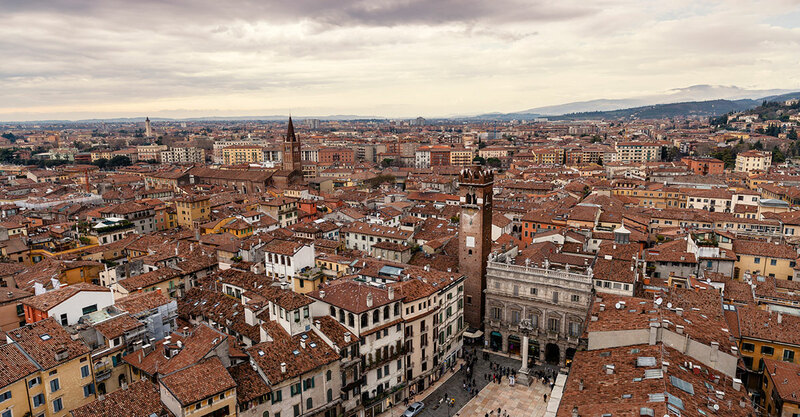 Shipments can be made directly from the tannery in Arzignano, Italy to various destinations throughout Europe, Great Britain, the Middle East, and the Far East. Arrangements with our tannery ensure leather packaging is 100 percent recycled corrugated cardboard boxes that can be reused for shipment to our clients. As a result of this program, 95 percent of packaging materials received from the tannery are recovered for subsequent use. If leather hides are rolled and shipped on cardboard tubes, we request that the tubes be returned for reuse on future orders at our expense. The dimensions of our shipping boxes have been adjusted to reduce freight costs. This adjustment reduces the total dimension of a box below the maximum allowed measurements and results in freight calculated by true weight as opposed to a 30-pound minimum. Minimizing the size of the carton also reduces the corrugated cardboard used by over 25 percent. Shipment of large orders on “horses” reduces packaging material as well as material handling. Horses ship to a single destination and can be returned for reuse. A minimum quantity of 465 square meters (approximately 5000 square feet) is required to provide transportation savings over the traditional packaging method. Spinneybeck employs a service to collect and recycle extra cardboard, packaging material and wooden pallets from its facility in New York. 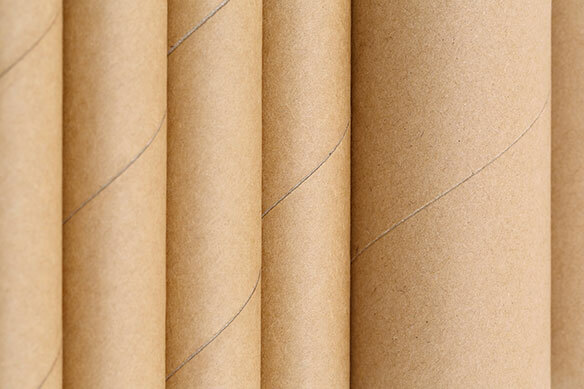 All paper products used in our facility are recycled. 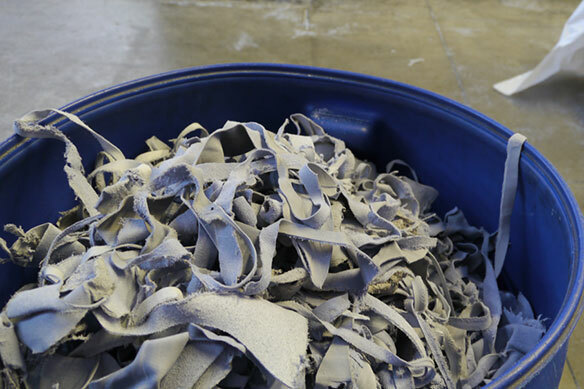 Leather scraps from sampling are sold to be made into bonded leather. Outdated color books are donated to design schools for student use. Spinneybeck continually evaluates our business practices to determine how to best support the environment. We have made arrangements with our tannery in Italy to package leather in boxes that can be reused for shipment to our clients. Full grain leather and leather products are easily cleaned and maintained and leather that is properly maintained can last a lifetime. When cleaning leather, never use solvents, saddle soaps, abrasives or products with inappropriate pH levels. Finished leather can be wiped with a cool, damp cloth. For tougher soiling, use a pH-balanced soap and rinse. Occasional use of Spinneybeck’s Finished Leather Cleaner, Conditioner & Protector is recommended. The entire surface of naked (or aniline) leathers should wiped with a soft cloth and cool water to even out any abrasions or stains. Do not spot rub, for it will darken only that area. Occasional use of Spinneybeck’s Aniline Leather Cleaner, Conditioner & Protector is recommended. Leather maintenance products from Spinneybeck contain no volatile organic compounds (VOCs).